A connection game for 2 players by Michail Antonow. 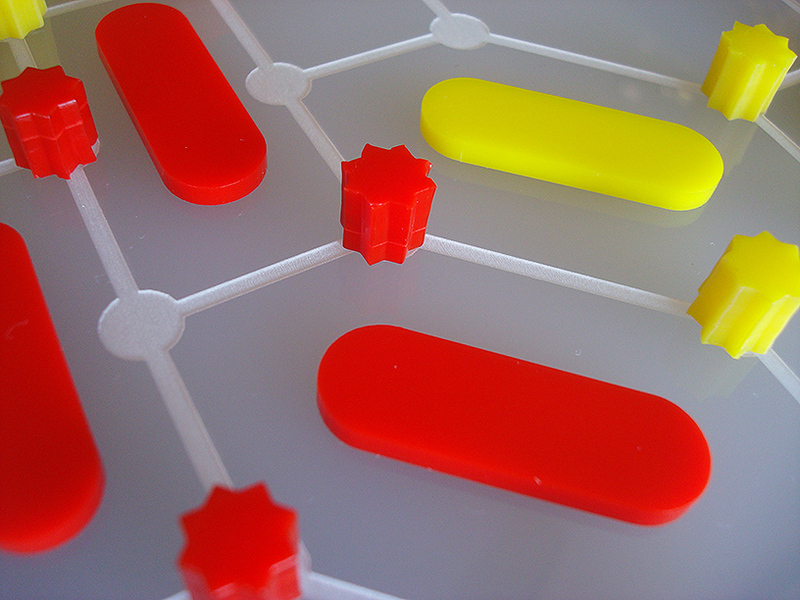 ConHex is a 2-player abstract game in which the winner is the first player to connect his or her assigned sides of a square board. The board is a pattern of non-regular hexagons with a few non-hexagonal polygons. Players alternate turns placing pieces of their own color on a vertex, and a player can claim a space after placing pieces on at least half the vertices of that space. 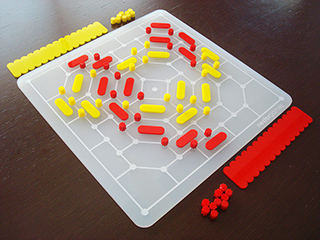 Components: 30x30 cm board made of 5mm thick 'ice' acrylic (laser-cut and engraved), 26 yellow and 26 red pegs made of 9mm thick acrylic, 26 yellow and 26 red plates made of 3mm thick acrylic, 45x33x5 cm paperstock box. 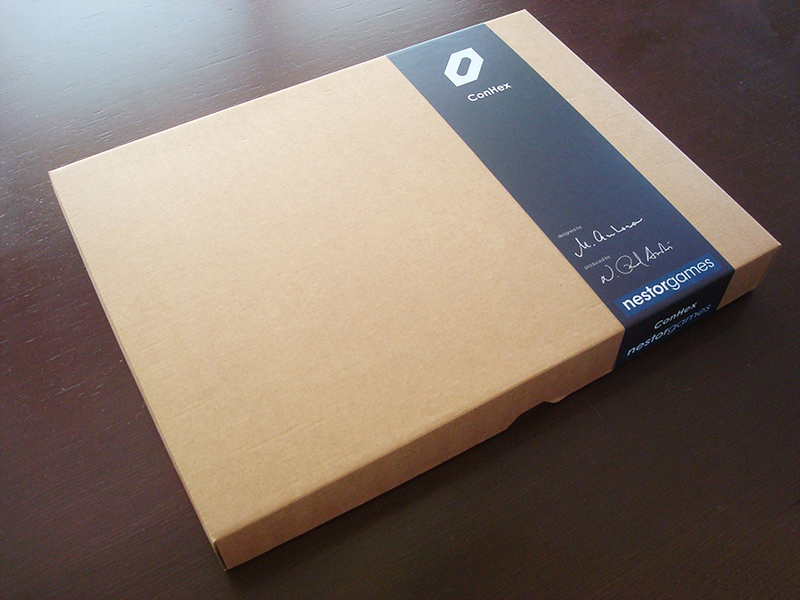 Also check de standard edition here.